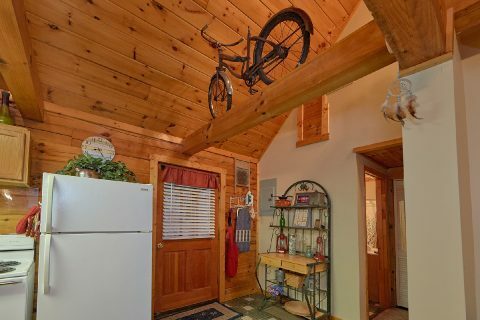 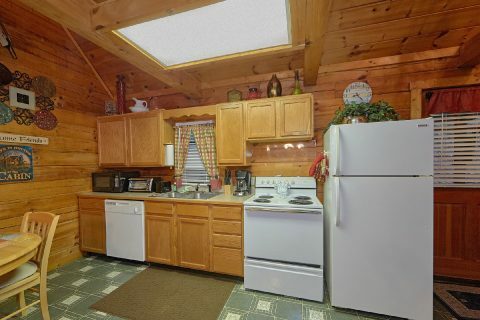 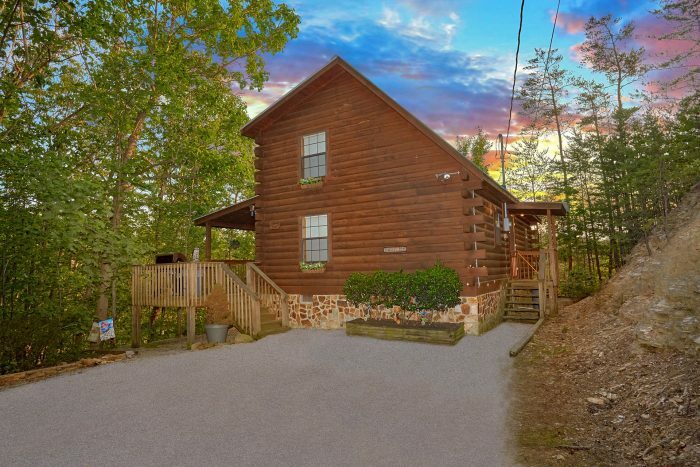 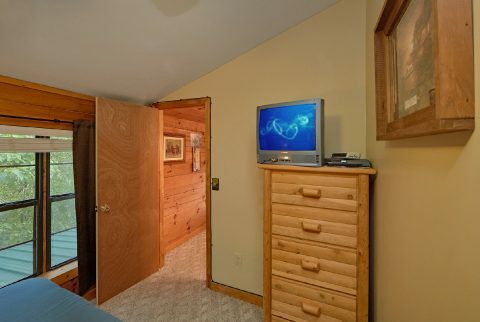 Welcome to "Hide-A-Way Point," a 2 bedroom cabin rental located in beautiful Wears Valley, TN! 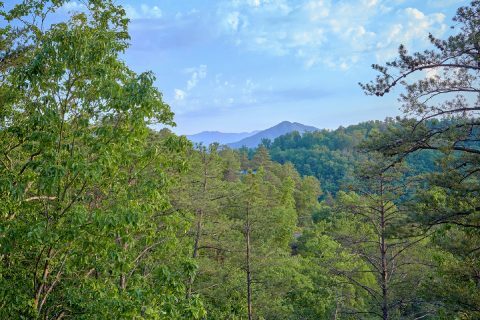 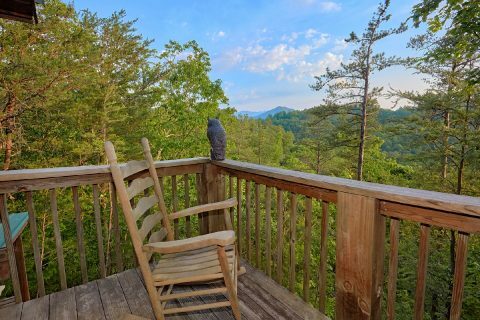 This popular area of the Smokies keeps guests close to both the Great Smoky Mountains National Park and Downtown Pigeon Forge, an exciting area known for boasting dozens of restaurants, shops, and attractions. Better yet, this rental also provides quick access to top-rated destinations like Dollywood and The Island in Pigeon Forge. 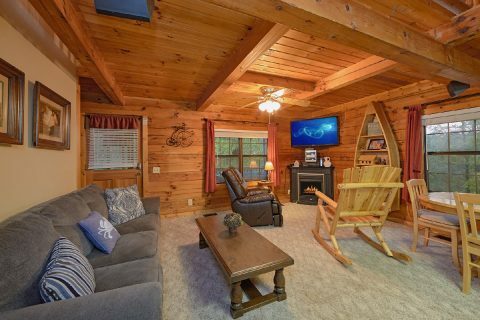 When you aren't busy exploring the best that the Smokies can offer, you'll love unwinding at your log cabin in the mountains with everything you need for your stay. 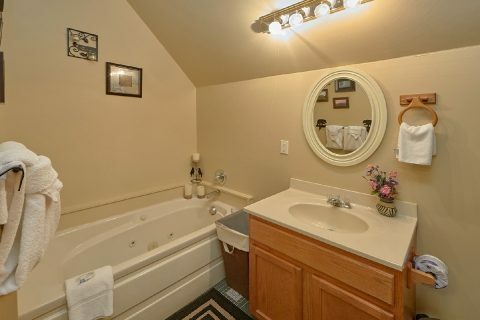 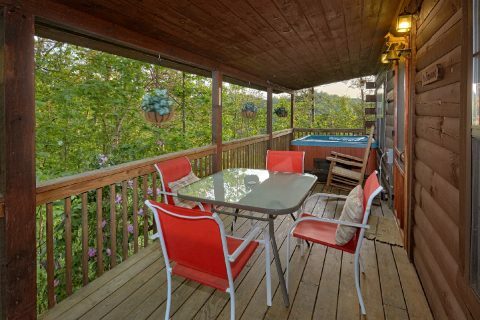 Take a soothing soak in the hot tub on the front deck. 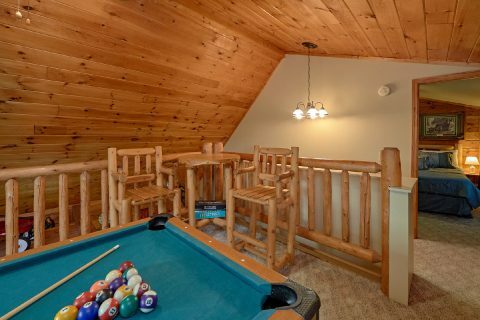 Enjoy hours of fun in the loft game room complete with a pub table and pool table. 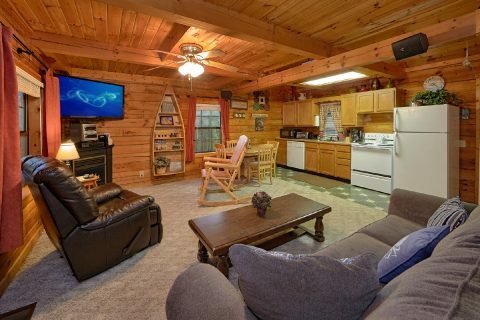 Watch your favorite movie in the living room complete with a fireplace and a flat screen television. 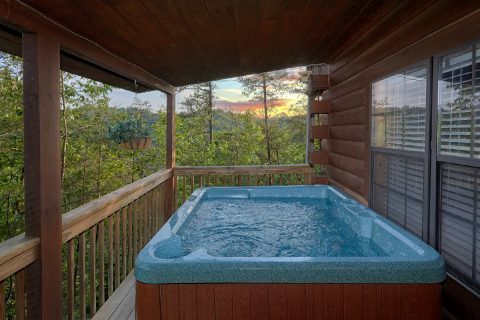 Sit back in the warm waters of your cabin's indoor jacuzzi tub. 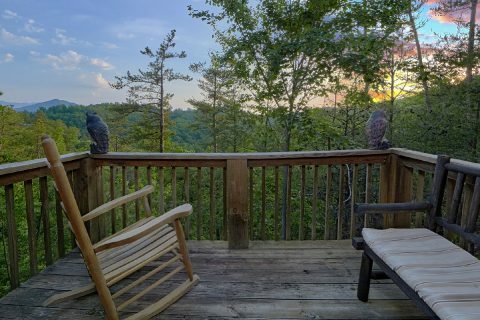 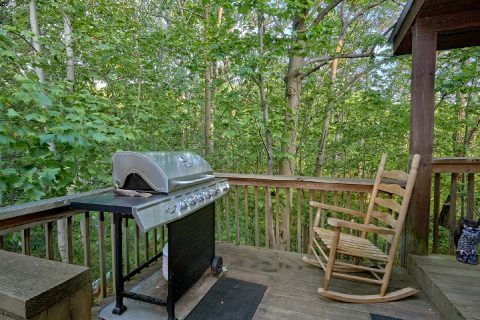 Or just sit out on your cabin's deck in a rocking chair to enjoy the lovely natural scenery that surrounds you. 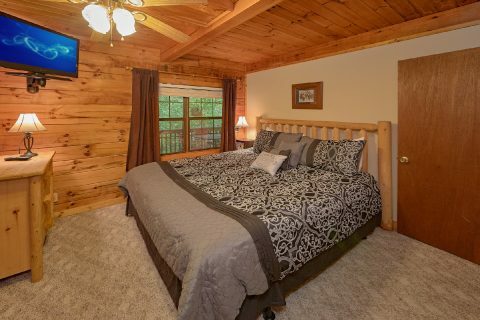 Once you're ready to get some rest on your vacation, you can look forward to staying in a king-size bedroom, a queen size bedroom, or a comfortable sleeper sofa in the main level living area. 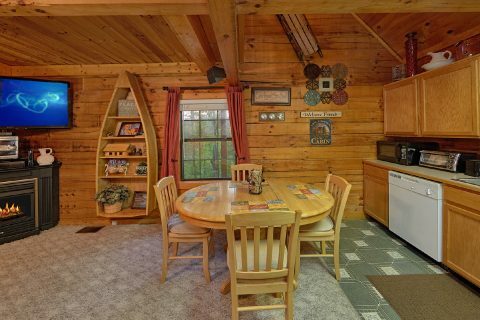 Altogether, this affordable, 2-bedroom cabin can accommodate up to 6 guests in comfort. 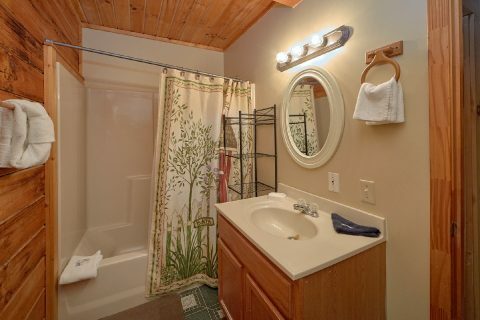 This rental also comes complete with a washer & dryer and WiFi Internet to use during your stay. 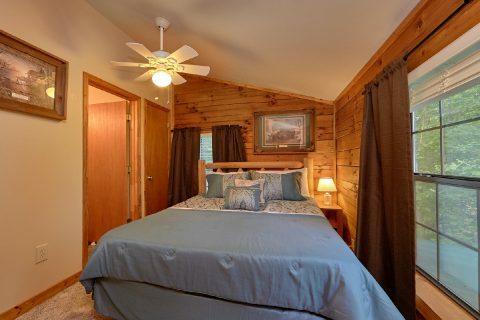 Book your own Wears Valley area cabin with Cabins USA Gatlinburg to earn a 15% discount on your nightly rate! 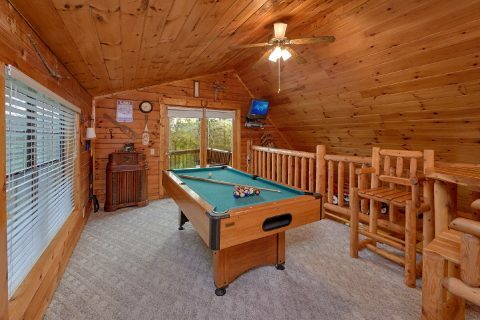 Start planning your getaway to the Smokies to make fun memories with family and friends today!